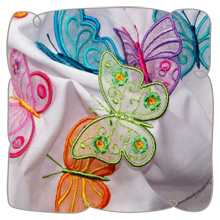 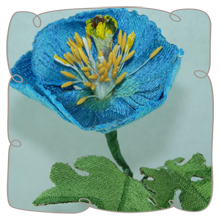 You will receive your designs in the following formats with the color sequence chart and step by step photo illustrated instructions. 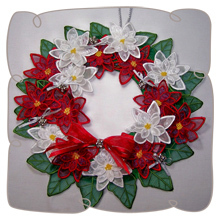 Add holiday cheer by decking the front door with a pretty wreath made with delicate applique leaves and layered poinsettias. 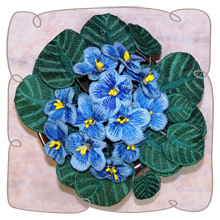 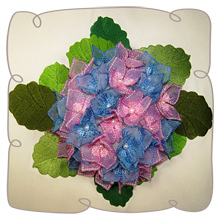 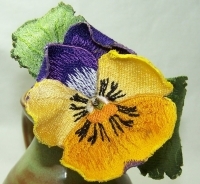 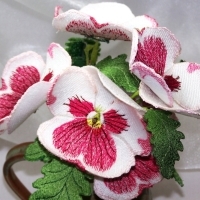 3D flowers made in the hoop with organza. 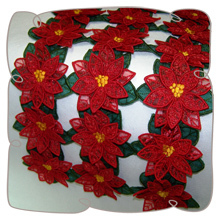 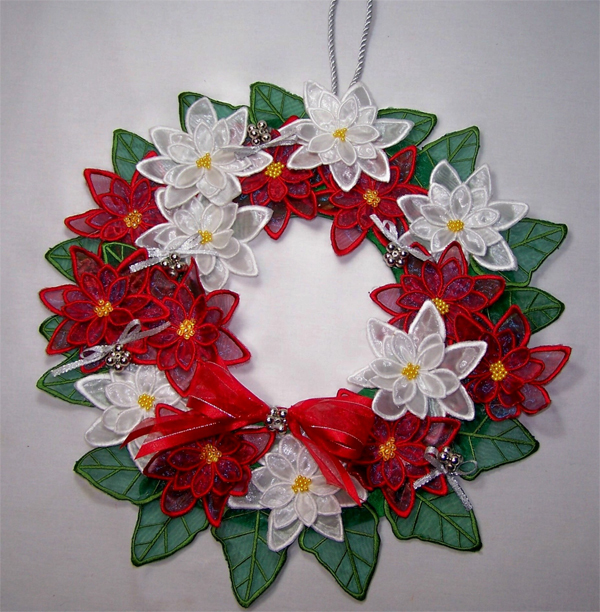 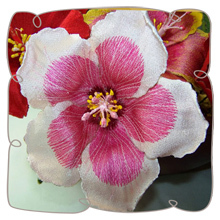 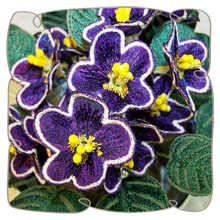 You can use to create numerous other projects with this lovely poinsettias, decorate garments for a boutique look, make beautiful pillows or napkin rings.